Grow Your Brand, Manage Your Reputation, Increase Sales. We provide digital marketing consulting services and work with clients to make the most of their website. You need to sustain your business growth with long term solutions. Whether you need more customers, traffic, sales, visibility or even qualified leads for your business, there’s a solution for you. My goal is to ensure that when you think about digital marketing in Kenya, you think about real growth in your business. If you need more customers in your business or you just want people to know what you do, then you need to be serious about SEO in Kenya. Since Google created their search engine, marketers worldwide have realised that it brings free advertising and traffic to their business. Of course you can choose to learn on in your own. I did that over a period of 15 years with my own projects. Or you can decide to choose an internet marketing company in Kenya that shares in your values. If you need new clients looking for your product online organically, then you can try the services below. Mine is to figure out how to use the tools available online to reach your business goals in a short time and within budget. The rest of the time I’m forced to watch cartoon network by my kids. SEO or search engine optimization is simply trying to get more traffic than your competitors by ranking ahead of them in search engines. Think of it this way. If you were to buy a plot, wouldn’t it make more sense to buy the sense next to the road than on the 3rd row? In SEO, we are trying to make you own the front row so you can get all the traffic. Content marketing strategy involves creating content that your clients need. It’s about creating you as the expert in your field. Its something like when you would love that one grandparent who just could never stop telling stories. She was so popular with all the kids that no one forgot to bring her a bag of sugar when visiting. You too could be the one that everyone loves talking about with a good content marketing strategy. If you care about your company’s reputation online, then you know how hard it is to fix it after being trolled or hacked. The service is meant to protect you from possible reputation issues and also fix your rep when someone attacks.  How Much is SEO in Kenya? SEO is expensive. It is expensive if its done the wrong way. It is even more expensive if it is not done at all. If you build a house for rent and forget to advertise it, you may have a house, but can’t make ends meet. The price of SEO or Digital Marketing in Kenya depends on how much work you need done and your goals and targets. Each of our services has its own schedule depending on the work we are going to do. You can also book me for corporate training events and seminars. I have trained hundreds of Kenyans on internet marketing, SEO and social media marketing in the past 5 years. It would be a pleasure to work with you too. I was asked by someone at CIM to attend the training. I’m not only glad I did but also got to make long lasting friendships with marketers just like me. It was the best 5 day workshop I have ever attended. What I learned in this course cannot be put in words. It was the most entertaining and informative marketing course I have ever attended. I’m only sad that it was soo short. Internet Marketing is its infancy in Kenya and CIMP certification is the way to go.